can't happen to me. But it does." The time of year when we should all watch our behavior? The holidays, of course, when we find ourselves at company Christmas parties with our guard down while alcohol is being served. * ... ATHLETIC SCHOLARSHIPS: And speaking of surprising, did you know that only 2 percent of high school athletes actually receive some sort of athletic scholarship to attend college? That's the word from Trevor Horn, prep sports writer for The Bakersfield Californian. The number is so small, in fact, that Horn has this advice for parents who are dreaming their children will get a scholarship: "Relax and just enjoy the ride," he said. "Enjoy them participating in sports and let them play multiple sports." * ... FISH MARKET: It looks like the new Wood-Dale Market at Grand Island Village will be opening sometime after the first of the year. 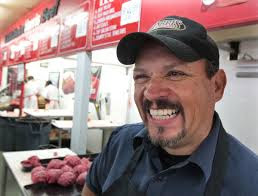 And here is some good news: Chris Vasquez, son of owner Israel Vasquez, says the old-style meat market will also be carrying fresh fish. Vasquez told me they will start with the most popular types of fish - salmon, sea bass etc - but will let the customers decide what they should carry. Work at the new location, next to the Sol Y Luna restaurant across from Wiki's Wine Dive and Grill, is well under way as they shoot to open after the first of the year. * ... SPOTTED ON TWITTER: "Congressmen only make $174,000 a year! How can they be expected, on such a meager pittance, to raise a family, buy groceries, send their kids to school, and pay massive sexual harassment settlements? Impossible." * ... SPOTTED ON FACEBOOK: "One day you're 18, eating pizza for every meal, wearing a size 4 and the next you're 30, drinking kale and debating wearing a T-shirt in the pool." * ... KEVIN BURTON: Kevin Burton, who has been the face of the marketing for Adventist Health for the past seven years, is leaving his job as head of its foundation to join the law firm of Klein DeNatale Goldner. 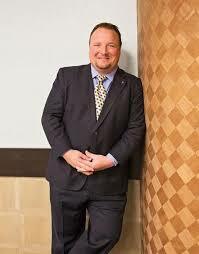 Burton will be overseeing corporate and business development as well as marketing the firm. * ... THE TOWER: It looks like the old downtown church that has housed several restaurants (Bell Tower Club, The Ivy) is about to get a new owner. 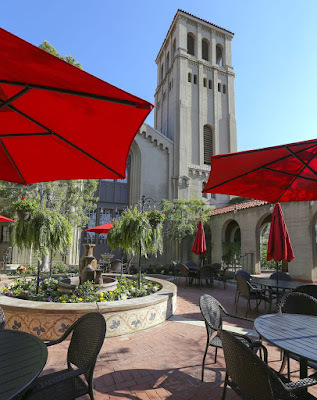 Robert Alimirzaie, executive chef at Bakersfield Country Club, has purchased the elegant old church and will open it as a restaurant called "The Tower" in February.